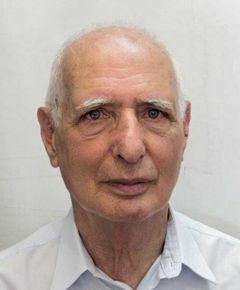 In 1963 he returned to Israel and since 1964 has worked in the Department of Animal Sciences, Faculty of Agriculture, The Hebrew University of Jerusalem, focusing on the teaching and research of poultry diseases and the immune response of poultry to disease agents. He has lectured on poultry diseases for the last 52 years and also teaches immunology in order to explain and highlight the response of avian and mammalian species to disease agents. Education plays a significant role in Dan Heller's life, from teaching undergraduates to leading experimental activity in the graduate school and supervising and instructing MSc and PhD students. In addition, Dan Heller is dedicated to research in poultry pathology and immunopathology. He began studying the development of disease by Escherichia coli, transmissible resistance to antibiotics, the immune response to the bacteria, and the possibility of genetic selection of chickens for early antibody response to this bacteria. During his post-doctorate stay at the Houghton Poultry Research Station he was exposed to Marek's disease and the immunosuppressive effect of the virus, immune suppression by infectious bursal disease virus and chicken anaemia virus. Dan Heller led the research and the production of the Israeli vaccine against chicken anaemia by the vaccine production company Biovac. During recent years Avian REO virus has caused heavy damage to the local broiler industry. A research team with the help of Dan Heller made a tremendous effort sequencing the Sigma C gene and protein of the virus and found that the phylogenetic tree contains four groups, suggesting that a new vaccine containing a representative from each group may reduce or eliminate the disease symptoms. E. Dan Heller is an educator and a researcher who has cooperated with several research groups in the world and gained international acknowledgement.